Every Pokémon journey has the same goal: become strong enough to take on and defeat gym leaders, Pokémon's version of boss battles. What if you could actually fight your way through a real Pokemon league? And what if this League was actually better than the ones found in the games? To understand what I mean, we have to look at the Pokémon anime. On the Pokemon show, there's a human element that's often missing from the games. In the games, gym trainers simply throw everything they have at you, and the only way to progress is to beat them. 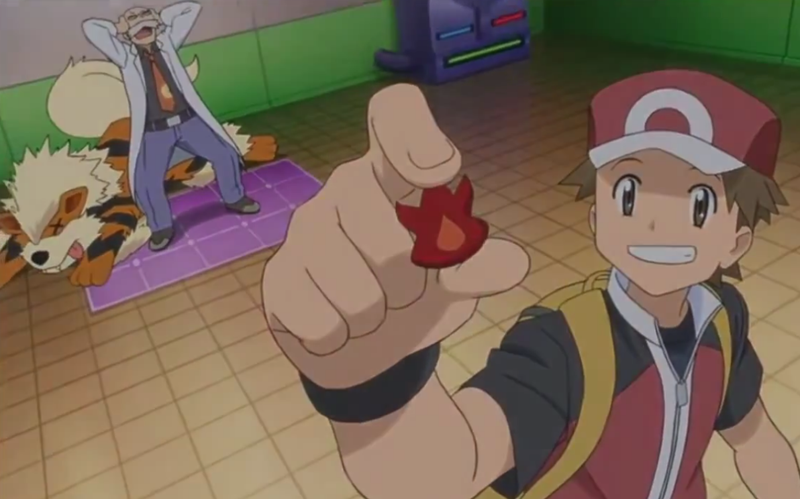 But on the show, Ash usually learns important life lessons, and sometimes wins his badge even when he's losing. There's a degree of humanity to Pokémon that's always been missing from the games, concerned as they are with binary victory and defeat. People make fun of that and call Ash a loser, but still: it's an great concept that the games can't offer us. Similarly, we see that in the anime, leaders pick different Pokémon depending on the mettle of the trainer challenging them. Gym leaders don't always throw out their most powerful Pokémon. It's the sort of judgement and flexibility that the games don't have—but that a real-life Pokemon league could. Enter the PAX Pokémon League, a group of folks who have been recreating the gym leader experience in its full glory since 2009. You can spot the League roaming convention halls, sporting green scarves (and sometimes cosplay), waiting for a challenger. "The idea of traveling around and challenging gym leaders in the game mimicked the way people walk around and explore PAX so it seemed like a good fit," Alex Roederer, a lead administrator for the PAX Pokémon League, told me. The structure of the PAX Pokémon League is much like that of the games. Players must collect eight badges from gym leaders, and once they do so, they can challenge the Elite Four. Defeating the Elite Four means having a chance to challenge the Champion, and those who defeat the champion have a chance to win actual prizes, as well as be commemorated in the Hall of Fame. Battles take place on Pokémon X & Y, and players can bring up to six 'mon for single battles. It's exactly like a normal battle, only you might be facing off against someone cosplaying as Gary or something. Much like the games, leaders build teams around concepts or themes—and they can be way more fun than the ones you experience in the games. One of the leaders you can meet during PAX Prime, for example, is called Pretty Guardian Sailor Sylveon. The concept mashes together Sailor Moon and fairy-type Pokémon, which, obviously, is a match made in heaven. Defeating her will win you the Moon Badge, because really, what else would it be called? "People who apply to be gym leaders come up with the concepts for their own [characters]," Roederer said. "Some people like cosplaying as gym leaders from the games, but others make up their own gym leaders. "We try to recreate the Pokémon League experience, so we encourage leaders to stick to monotype gyms, or at least a restrictive, clearly recognizable theme (Eeveelution teams have always been very popular). This has the added effect of preventing gym leaders from being too tough; after all, gym leaders are supposed to lose some of the time!" To this end, the PAX Pokémon League has a mix of different skill levels, and players can earn badges even if they don't win their battles. Leaders are free to award gym badges at their discretion, which can lead to interesting situations you'd never find in the games. "If you put on a good show, or the match comes down to the wire, you can earn a badge for that," Roederer said. "We've had several 10-year-olds make it all the way to the champion," Roederer recounted. "Two years ago our Champion was someone cosplaying as Cynthia, and a little 10 year old made it to her by Sunday evening... we found out later that he was terrified of Cynthia in the games, and suddenly found himself facing his fears in real life! He refused to look her in the face he was so scared. It was pretty adorable when he won." But even players dressed as Ash Ketchum himself still have to follow rules. Since the point of the PAX Pokémon League is to have fun, there are some limitations which the League puts in place to make a good experience for everyone. Some particularly powerful Pokémon, like Arceus, are banned. You can't have a team with too many legendaries on it, either. And certain tactics, like stalling for too long, are frowned upon. Being playfully creative, meanwhile, is seen as a good thing—players might find themselves trying to earn a badge through a dance off, and doing things like dramatically calling out your moves is encouraged. "It's really important to me that Pokémon isn't just about being super competitive and winning all the time, but making friends and having fun," Roederer said. If you're attending PAX Prime this year, you'll be able to face-off against the PAX Prime League yourself. Just make sure to have a copy of Pokémon X & Y, and be on the lookout for green scarves. Who knows? Maybe you'll be able to prove you're the very best.